In 2018, almost 47 thousand dollars was raised over 3 days with Hockey for Health 3 on 3. This FUNdraising charity tournament is all about fun and FUNdraising for your hospital and will be held at both Kenora Recreation Centre and Keewatin Memorial Arenas April 11th-14th, 2019 and is open to Novice, Atom, Peewee, Bantam and Open divisions, boys and girls, men & women. Because it’s not necessarily the team who wins the most games that is crowned champion, all levels and abilities can enter into the tournament in the name of competitiveness, fun and fundraising. Whether you’re a first timer or an old timer, this tournament is for you. Teams sell raffle tickets, collect pledges and come up with other great ways to raise money for your hospital. Each team is given a “Fundraising Invoice” at the end of their games where they are charged $5 for every goal they scored! The goal for the money raised from this year’s tournament is to make the final payment on the new CT Scan! The Lake of the Woods District Hospital Foundation is the lifeline between your community and your hospital. LWDHF raises the funds necessary to purchase new, state of the art medical equipment like the CT Scan. The new CT Scanner offers improved diagnostic capabilities, image quality and improved radiation doses as well as the ability to perform pediatric scanning on site, which was previously unavailable. 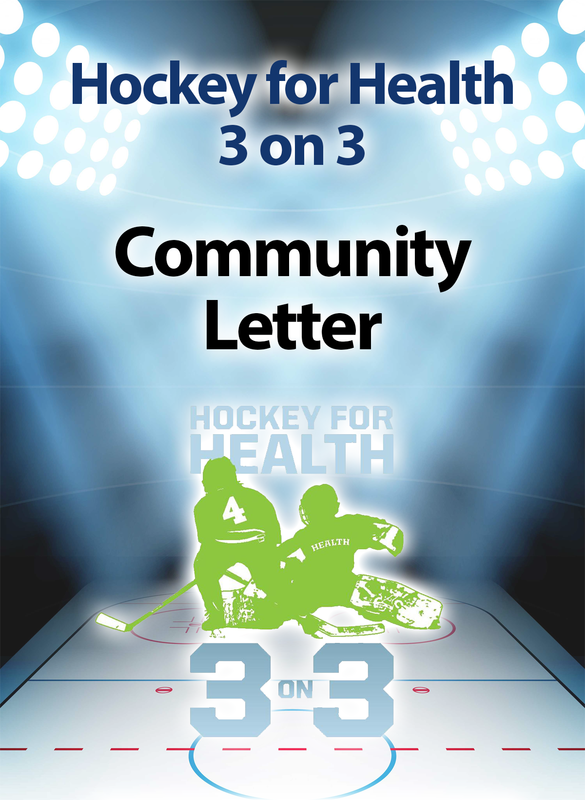 The CT Scan is an essential piece of equipment and would not be available to the community if not for our committed partners and community fundraisers such as Hockey for Health 3 on 3. Questions can be directed to Andi Scheibler, Development Coordinator for Lake of the Woods District Hospital Foundation at ascheibler@lwdh.on.ca or 807-468-9861 ext 2468. Make a donation online and support your team! Interested in helping out? Volunteers needed! Contact Andi to join the 3 on 3 Committee and be a part of helping bring state of the art medical equipment to your hospital! With many thanks to the contribution of players, family, friends and sponsors, Hockey for Health 3 on 3 for 2018 raised $46,873.11 for the CT Scan Renewal Campaign! This year, we had 17 teams registered in 4 different divisions, who enjoyed a fun-filled 4 days of hockey at the Kenora Recreation Centre and Keewatin Memorial Arena Thursday, April 12th through to Sunday, April 15th, 2018. 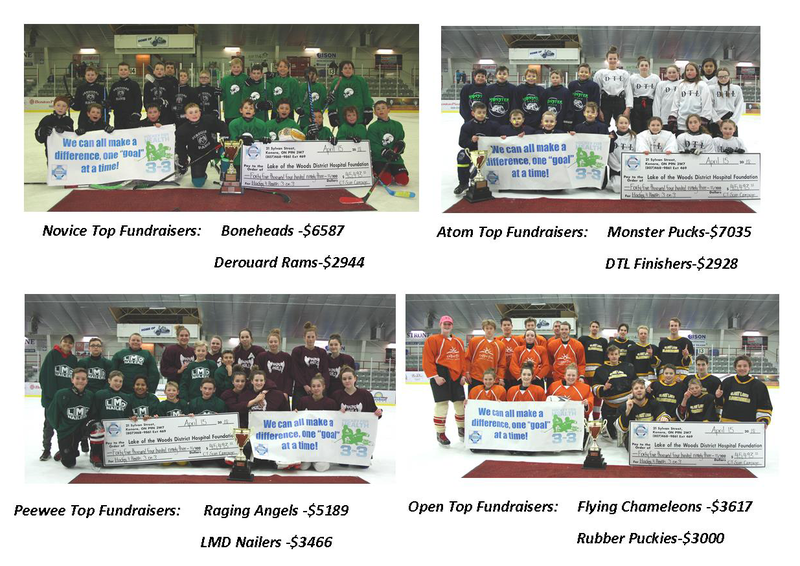 Our top tournament fundraisers were the Atom Monster Pucks who worked hard in selling raffle tickets, acquiring donations and securing sponsors to bring their team total to over $7,000! Amazing job! 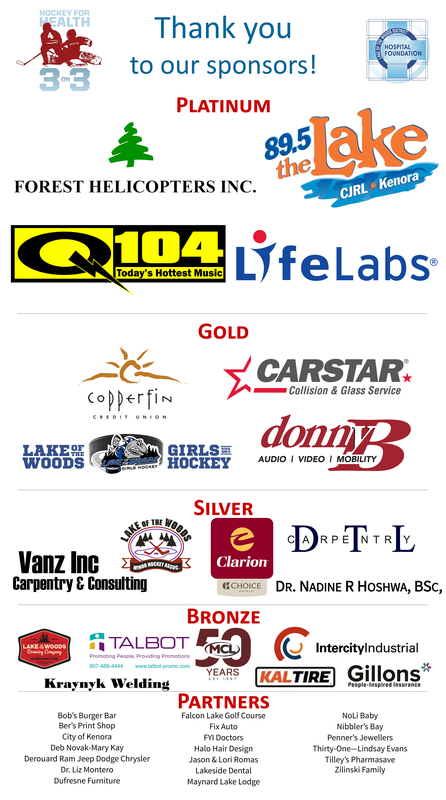 We would like to thank our sponsors Forest Helicopters, Q104/KenoraOnline, 89.5 the Lake, Life Labs, Carstar Kenora, Donny B, Lake of the Woods Girls Hockey, Lee’s Home Electronics, Copperfin Credit Union, DTL Carpentry, Clarion Lakeside Inn, Dr. Nadine Hoshwa, Lake of the Woods Minor Hockey, Talbot Marketing, Vanz Inc. Carpentry & Consulting, Gillon’s Insurance, Moncrief Construction, Intercity Industrial Supply, Lake of the Woods Brewing Company, Kraynyk Welding, Kal Tire, Lake of the Woods Electric, Dunit Contracting and all of our supporters for this years event. See you on the ice next year! 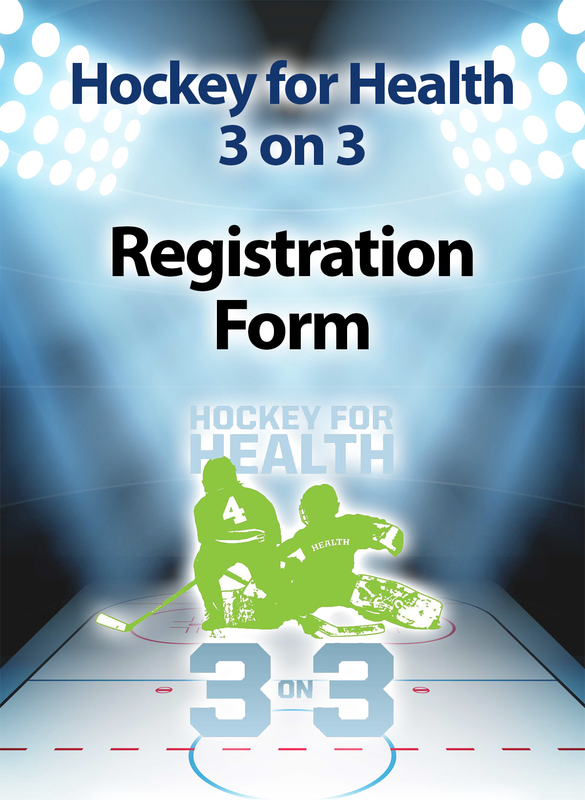 To find out more about the CT Scan Renewal Campaign or the Hockey for Health 3 on 3 tournament, contact Andi Scheibler, Development Coordinator at 468-2961 x2468 or ascheibler@lwdh.on.ca.